Nowadays, HOPE School students are free from exams and are celebrating the joy of their hard work in the form of Annual functions. HOPE Thatta School organized an annual prize distribution ceremony in which prizes were distributed to position holders from nursery to class XIII. To entertain the guests, students performed different tableaus and dances. These dances represented the beauty of Sindhi culture. Similarly, the students from HOPE Karachi School Campus who were invited by HOPE Thatta School also performed on various dances and tableaus which represented the strength of unity amongst the people of Pakistan. To create positive reinforcement among students, further prizes were distributed on the bases of “best student of the year”, “best performer of the day” and best teacher awards to motivate them. In this event, the chief guest was Dr. Mubina Agboatwalla - Chairperson, HOPE, who acknowledged the students for their hard work and appreciated their efforts. In her speech she said that education is the only source to create awareness among youth and eradicating poverty, therefore, we all should strive together to spread education in our country. HOPE Pakistan organized a musical night at Sheraton to raise funds for the underprivileged people of Pakistan. HOPE has been actively doing and arranging fundraisers since many years and the funds generated from the events go directly in charity. This big fundraiser musical event “Raat chaali hai jhoom kay” is arranged by the Helpers committee of HOPE every year. The Helpers committee of HOPE comprises of various people from the corporate side including Saad Amanullah Khan - President of Helpers Committee of HOPE and CEO of Gillette, Ms.Anisa Kamal, Ms. Anisa Rasheed, Ms. Zeba Jawed, Ms. Ismaa Khan, Ms. Samina Haider, Ms. Seema Zubairi. These people find it their social responsibility to help HOPE make a better society where individuals are aware of the basic right and are provided with equal opportunities to access health and educational facilities. EFU, P&G, NCR, Razzaq steel, Schneider Electric Pakistan, Indus Motor, Hubco, Dupont, Gillete, Dr. Tariq, Pakistan Cable, Ambrelli steels and Mitsubitshi sponsored the event in order to make it a success and to contribute their bit to the cause that HOPE is working on. To entertain the guests renowned singers were invited such as Ameer Ali, Ather Sani, Hina Asif and Nazneen Aijaz. Since, HOPE (Health Oriented Preventive Education) is an NGO providing services of health and education for the poor and needy in Pakistan. Therefore, the funds which were generated from this event will be utilized to make education, health and vocational trainings easily accessible for the underprivileged. 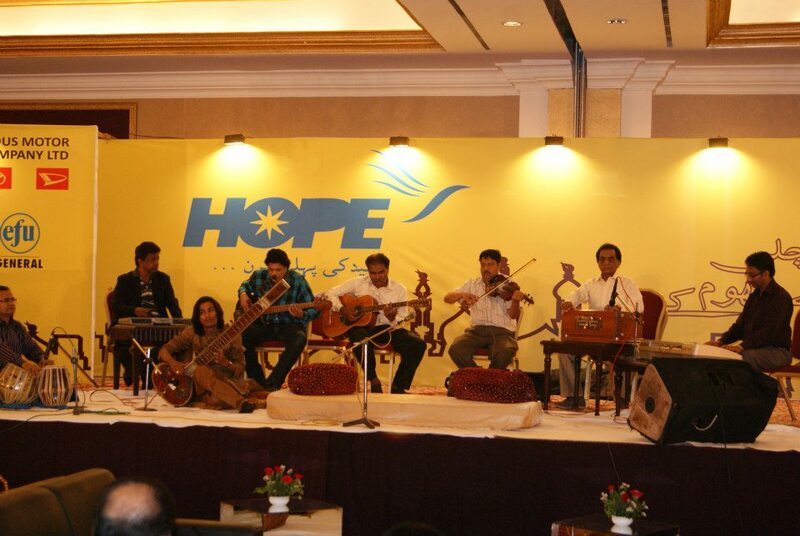 On 10th April 2013, HOPE had its annual result ceremony at HOPE Karachi Formal School in Karachi. Located in sector 32 A, Korangi, HOPE school welcomes all the under-privileged children to get education. HOPE which is lead by Dr.Mubina Agboatwalla, cares for its children and provides free schooling, uniforms, books etc. Every year, an annual result ceremony takes place in which the hard-working, dedicated and brilliant students get awarded. This encourages and motivates the students to work harder to be able to achieve their aims in life. The leading donors of HOPE are also called as the guests of honor. Famous TV actor Mr. Sajid Hasan and Mrs. Shakeela Hasan attended the event as Chief Guests. The guests were made aware of the progress that HOPE’s formal school is making in regards to educating the under-privileged and neglected part of our society. The annual result ceremony started with the recitation of Quranic verses. A series of dance performances followed the announcements of results. Sohail Hussain, a leading team member at HOPE, led the function. 1st, 2nd and 3rd positions were announced for each class and the children were awarded with certificates and gifts. The classes covered ranged from Nursery till matric. The honorable guests were given the chance to distribute the prizes among the high achievers. Students prepared group dance performances on various themes. Children from HOPE Thatta School also accompanied them in various cultural performances, which portrayed the diversified cultures existing in the 4 provinces of Pakistan. A concept of unity, brotherhood and diversity was shown to instill in a feel of unity and brotherhood in the young minds. Loads of applauses and cheers spoke highly about the enjoyment of the children. The exited faces, happiness, cheers, joy and laughter accompanied as every dance reached its final step. The best performers were awarded with prizes and in the end, Dr. Mubina Agboatwalla addressed the audience and appreciated their efforts for the marvelous work in studies and performances for that evening. Her dedication and confidence surely formulated into the results that was witnessed yesterday. 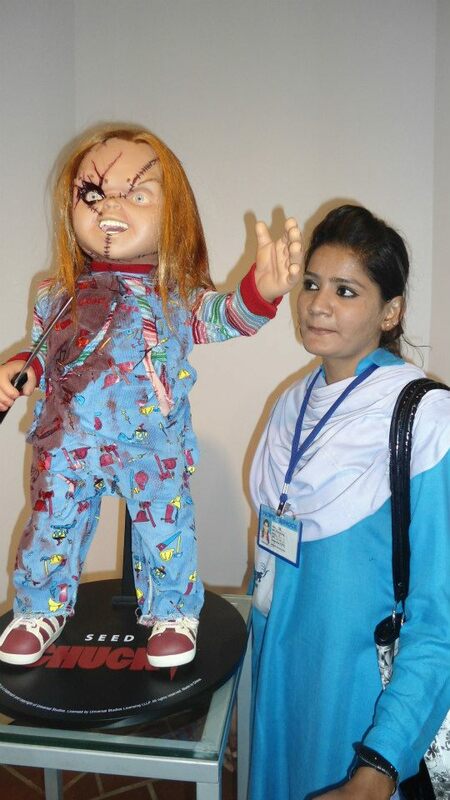 HOPE School Students' Visit to IVS! 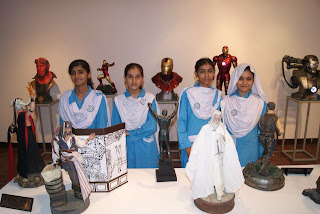 Keeping that in mind, the children studying at HOPE Formal School Karachi were taken to Indus Valley school of Art and Architecture as part of their field trip, so that they can have better insights about the art which was created by the talented students of the Art School. An exhibition of limited edition Hollywood Movies Collectibles, “The Stuff Dreams Are Made of, 2013” was set up for display. 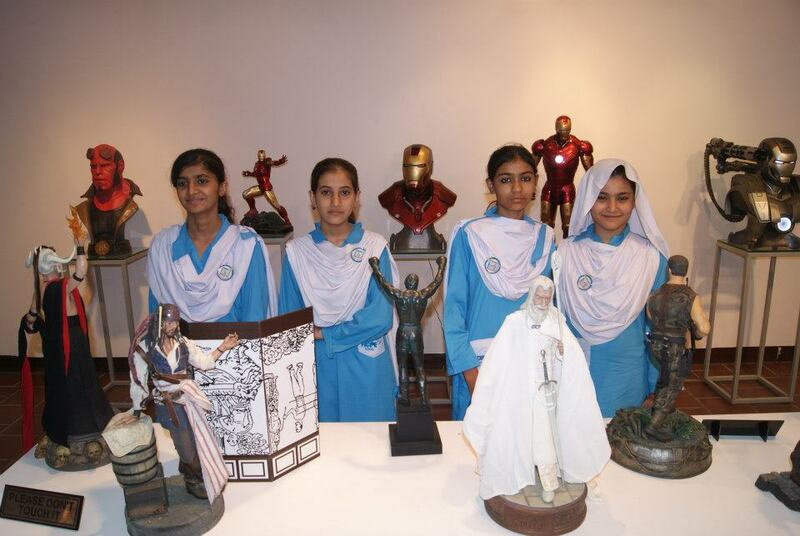 The children and the faculty of HOPE School also visited the media printing & sculpture department which served as a golden opportunity for these underprivileged children to learn new things and sharpen up their artistic abilities. Moreover, different sculptures were shown which left the children in a state of awe. The children were eager to learn from the artists and some of the children also showed their hidden talents. After a full day of learning, coupled with a photography session, food boxes were distributed to these young ones. HOPE has always been thoughtful about the children who are affiliated with it. It has always shown its full responsibility by demonstrating such field trips and events for the children of HOPE.